1) Create a responsive or expanded text ad as normal. 2) Create a Beacon Link for the ad’s landing page URL. 3) Paste your landing page URL in to the GA Final URL field. 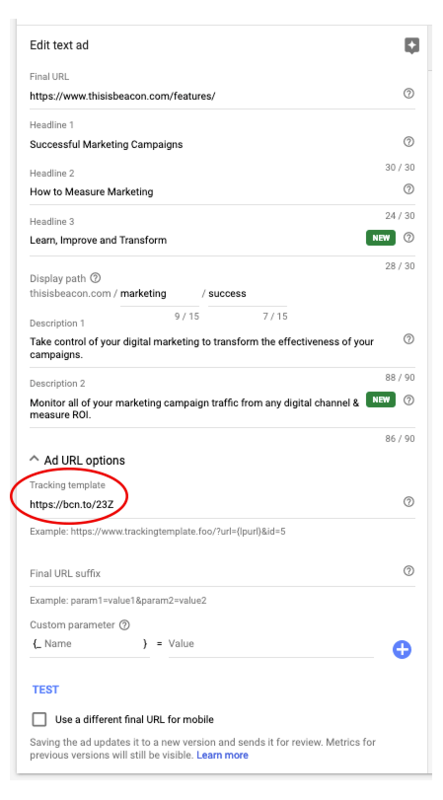 4) Paste your Beacon link in to the GA Tracking template field, under Ad URL options. 5) Test your tracking set up. 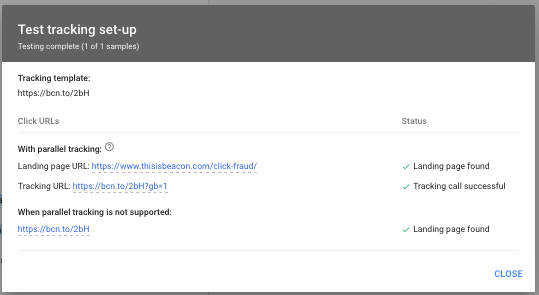 After you have saved the final URL and your Beacon Link, click the “TEST” to confirm that your Beacon link is the same destination as the final URL. 6) If this is ok you have set the ad up correctly and you are good to go. Can Beacon integrate into third party software? What is a “Do not track” visit?